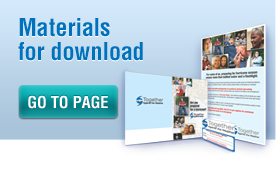 Community organizations, service agencies, case workers and other trusted sources are encouraged to use Together Against the Weather tools available on the Materials for Download page to inform and prepare clients for hurricanes. Identifying and mapping the populations of special needs in the local jurisdiction is one of the most difficult tasks for emergency management. 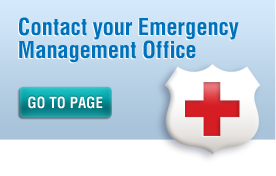 Partner with emergency management officials to link clients with transportation assistance. 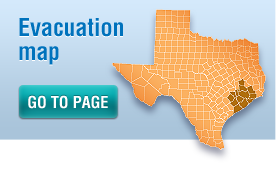 Request training for your staff and volunteers from emergency management representatives regarding the need for hurricane preparedness and evacuation planning, as well as specific evacuation procedures/services for your area. Leverage wait times of community clinics and other locations serving persons with access and functional needs to view Together Against the Weather video programs found on Materials for Download page of this website. Utilize text messaging systems, email and reverse 911 tactics to communicate with your clients in time of crisis. Provide copies of the Together Against the Weather motivational questionnaire to your organization’s support network of health care providers, including doctors, pharmacists, home health care agencies, group homes, associations of specialty doctors and insurance agencies and incorporate it in to your client care and/or new client intake procedures. The homeless/displaced population will find their way to a clinic, hospital, or service agency in the event of a disaster. This population does carry cell phones and more than 5,000 have access to a voice-mail system in Harris, Fort Bend and Montgomery counties provided by the Coalition for the Homeless. In the event of an emergency, voice messages are widely distributed via this system. This population disseminates information via word of mouth and is a tight network of information providers. The key to successfully communicating to the homeless/displaced population is through the social and service agencies that cater to this audience. It is critical that emergency management officials provide information regarding designated embarkation points and shelters as it will be these agencies that disseminate information to this population. These agencies will also be able to identify the most familiar points for evacuation planning of the population. Host Town Hall meetings in landmark locations that this population is familiar with, such as local libraries or agencies that service the homeless/displaced, to explain the difference between reporting to a shelter and traveling to an embarkation point. Distribute informational posters to central locations where this population congregates, such as the local homeless shelters, churches, libraries and central landmarks. The information on the poster should be customized to list the embarkation points in the area as well as the locations of local shelters in the event of a hurricane or evacuation. Develop a phone tree that serves your homeless/displaced community to expedite the communication of information in your area.